We’re participating in the Envisage research project on Cloud Computing financed through the EU 7th Framework program. The project period is: Q4 2013 to Q4 2016. We just got approval for a project within Internet of Things financed through EU Horizon 2020 Framework program. The project period is: Q1 2015 to Q1 2018. 5. Who writes about Atbrox? Check out our press page. Atbrox sometimes invests – with “sweat equity” or small amounts – in tech startups, we are currently a shareholder in several exciting Scandinavian and US software startups/services that work in the areas of Deep Learning (AI), Education, Healthcare, Mobile/Wearables and Search. 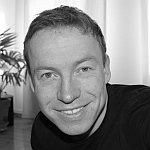 Thomas Brox Røst; MSc CS; Natural Language Processing, Text Mining and Cloud Computing. Atbrox was started in September 2009.